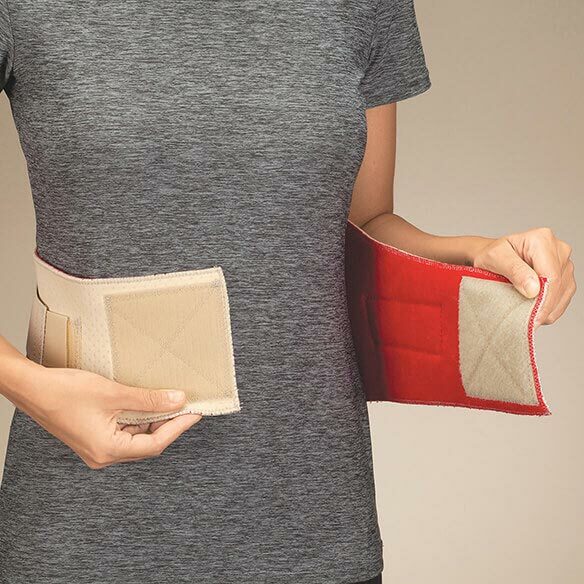 Arthritic neoprene back support stabilizes as it warms and soothes a sore back. Wrap-around design features dual adjustable side pulls for custom compression and support, with built-in stays to promote stability and good posture. 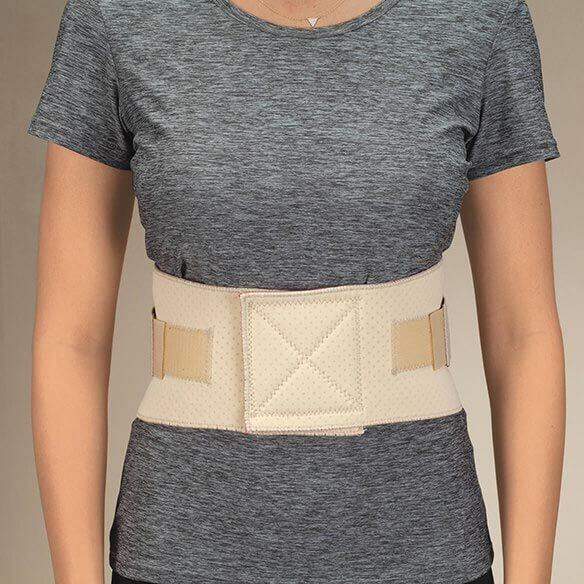 Ideal for soothing arthritis and repetitive strain, this back brace's triple-layer design wicks moisture from skin, retains body warmth, and insulates while encouraging circulation. 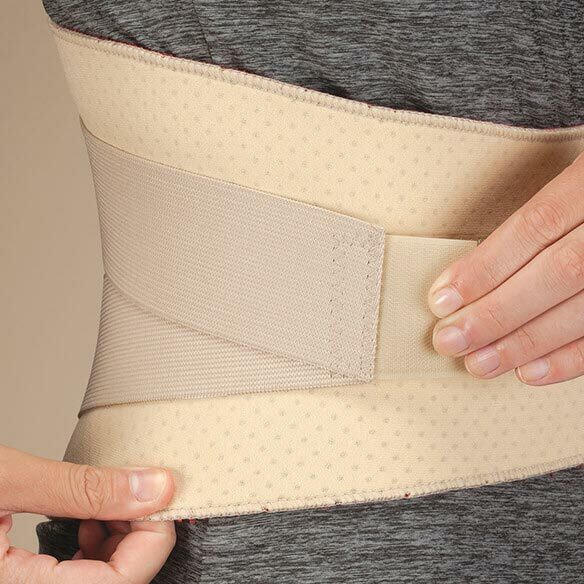 Posture brace's antimicrobial micro-terry inner layer provides all-day softness and comfort. Choose from 4 sizes: small (fits waists 28”–32”), medium (32”–36”), large (36”–40”), XL (40”–44”). for better back support. less pain. Just to have change, I own several supports and change the places of support it help with the chronic pain from the diabetic neuropathic. I'm hoping that I will finally find one that goes low enough to relieve lower back pain. 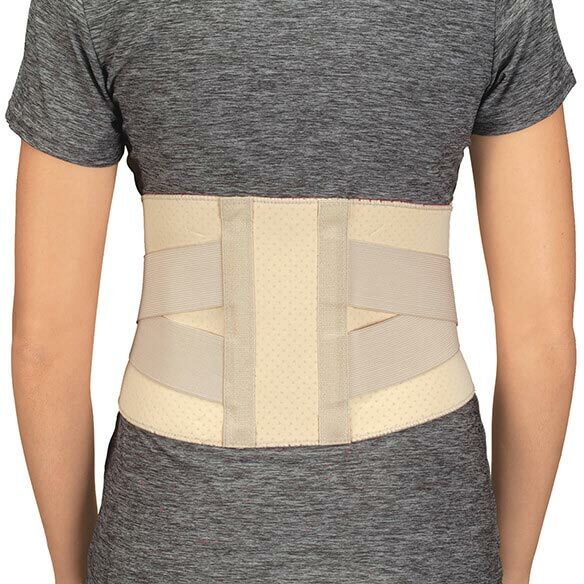 what is the front and back width of brace?